In the introductory video for networking with Humanoid Control, all players have the same avatar. But in most cases you want players to look different from each other. This article describes how you can do this. Visitors who can primarily look around. The way to achieve this is to build the whole scene with two Humanoids inside: one for each type of player. 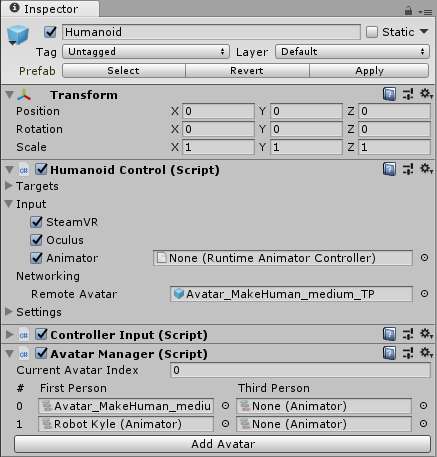 Both Humanoids should be configured normally as a normal player with a First Person Camera and SteamVR, Oculus and/or Mixed Reality support. 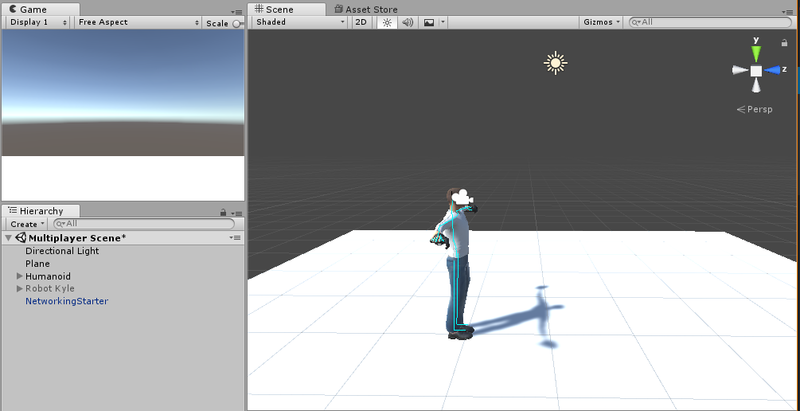 But you can also configure the differences between the Humanoid now. The guide could have Physics and Touch Interaction on the Hand Targets for example. 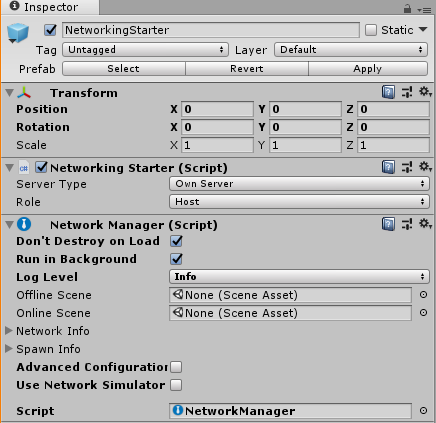 Finally, the NetworkingStarter prefab should be added to the scene to add networking support. 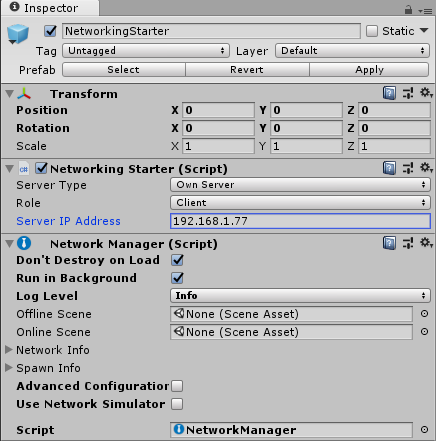 If you get errors on a missing script, you should check if Networking Support is enabled in the Edit Menu->Preferences->Humanoid. In the example below, Robot Kyle is considered the visitor, while the Humanoid is the guide. For this build, we need to disable the visitor humanoid so that only the guide remains. Now we can make the guide build by choosing File Menu->Build Settings->Buils. Then we can make the visitor build using File Menu->Build Settings->Build. After this you will have two builds: one for the guide with a special avatar and abilities and one for the visitors who are showed around by the guide. For this solution we use the Avatar Manager component which is included in the Humanoid Control package. Optionally, you can also choose a Third Person avatar which will be used at remote clients. PreviousAvatar will choose the previous avatar in the list in a round-robin manner. 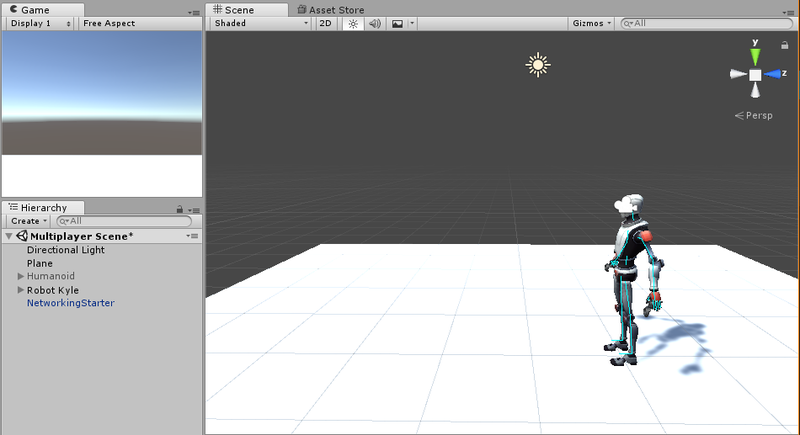 In this way you can change the avatar at runtime and have many different avatar for the players.